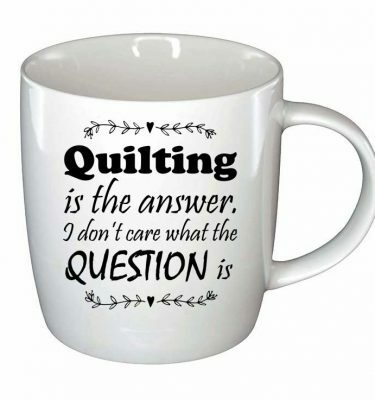 Fabulous quilting quote mug that every quilter will agree with! This cup is a great shape and lovely to drink out of. 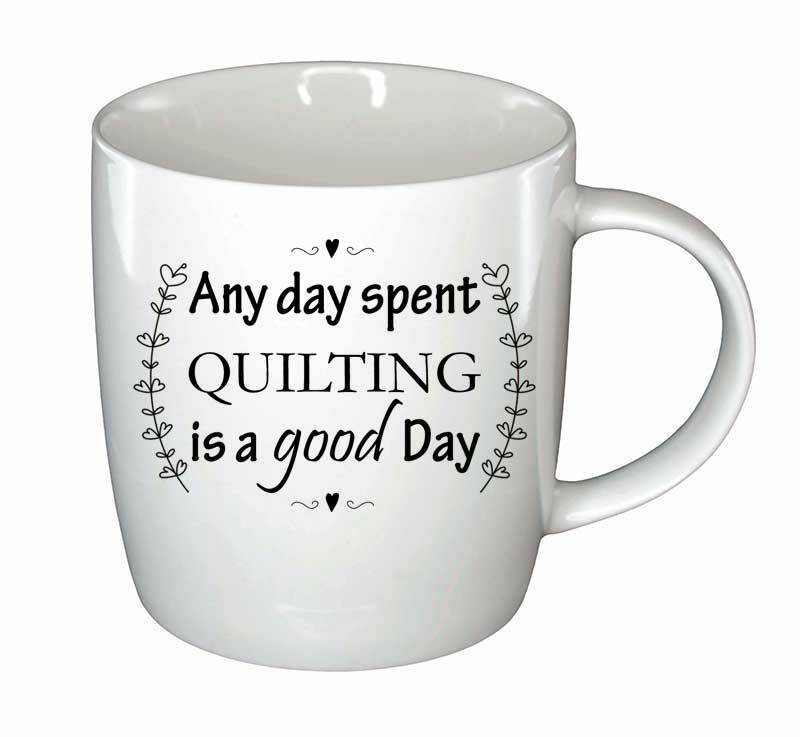 With lots of room for that coffee, tea or hot chocolate! These are available and ready to send now.